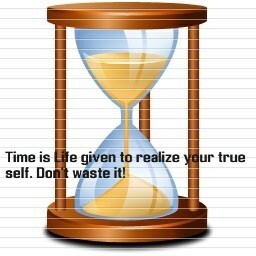 Time is Life given to realize your Real Self! Dont Waste it! There is "acting powerful" which happens when u allow the ego to rule vs " Being Power" which happens when u subdue the ego. Choose wisely! Previous Post Thoughts Vs Karma or is it thoughts = Karma??? ?